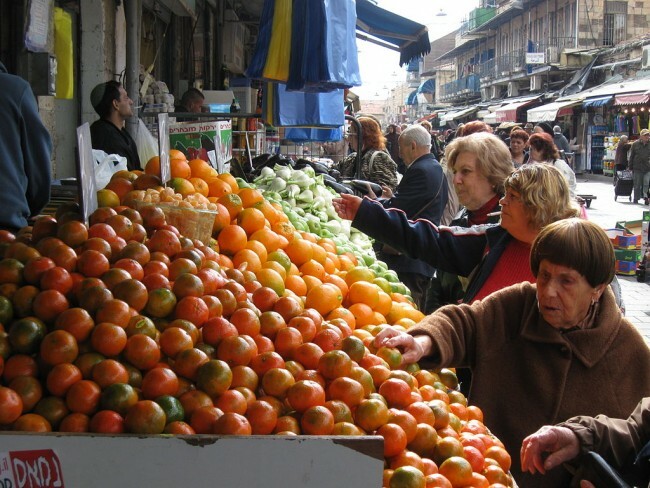 The famous Machane Yehuda Market began as a convenient shopping place for locals. Arab farmers and Jewish housewives haggled over prices, much like today. 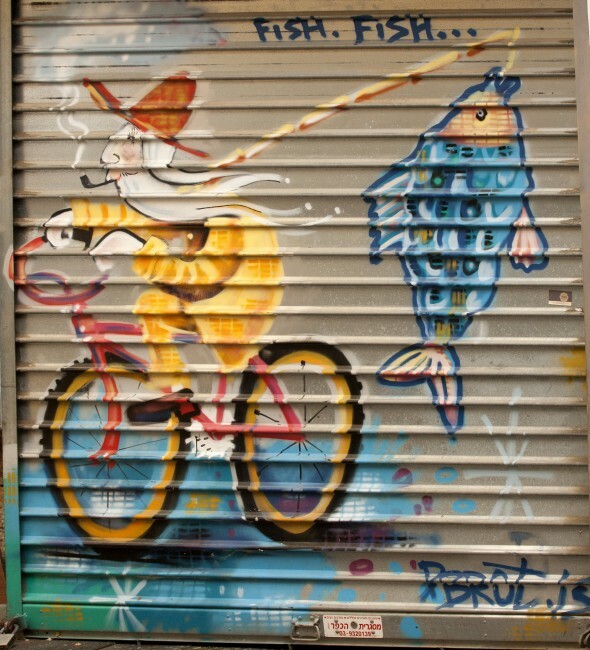 The shuk runs from Etz Chaim Street, to HaShaked Street. At the market you can find street singers, musicians, fresh spices by weight, housewares, craft beers, fresh fruits and vegetables, all within the perimeter of Machne Yehuda. Below are the spots in the market you shouldn’t miss. This tasty English fare establishment was set up in 2010 by two brothers, Shlomi and Aviram Ochana. New to Israel, they created FishenChips, bringing the concept to Israel after having spent time traveling in England. The mustard and beer battered fish is outstanding and comes straight from their father’s store. There is a choice of salmon, tuna, panko, cod, barbunia, or even hamburgers. These are served in straw baskets along with possibly the best chips on this planet. You can also order deep fried potato balls or salad. The battered salmon and chips can be split between two since all the dishes are anything but skimpy. Czech beer is served on Friday, along with their unusual arak, mixed with cinnamon, melon or Bazooka bubble gum. This authentic shuk restaurant offers delicious home-cooked cuisine, with a Middle Eastern, Italian and Greek touch, and a beer bar that serves authentic Jerusalem beer. Famed chef Shmil Holland offers cooking workshops and wine tasting from some of Israel’s best wineries, from Golan Heights in the north to Kadesh Barnea in the south. At Shem Tov Cafe, enjoy crispy gnocchi with grape leaves, fruit, walnuts and vinaigrette sauce, or their specialty drink Leifmans, which is made of four different kinds of berries. For dessert, Daddy Ice-Cream completes your dream meal. Think vanilla ice cream, candied nuts, tehina, seasonal fruits, honey, and silan. The prices are very reasonable and everything served is kosher. A tiny slice of Paris in the market, the owner learned the art of making ice cream and desserts in France. Mousseline is a great place for unusual ice cream flavors, such as sour cherry and grapefruit basil. Their teas are also imported from a famous Parisian tea house, while their coffee is blended with Brazilian and Ethiopian beans. The store is tiny, with a capacity of about five people, so make sure you get in there first. Lunch at Azura is a must-try and is guaranteed to be memorable. The manager Shabtai Shrefler’s father opened the restaurant in 1952. Although his name was Ezra, his nickname was Azura. Nine Azura siblings now run the restaurant. Azura is a small family venture which attracts celebrities, as well as neighborhood locals. It is a budget restaurant, which has been going strong for 25 years. The food is a mix of Kurdish, Iraqi, Sephardic and Tunisian dishes. 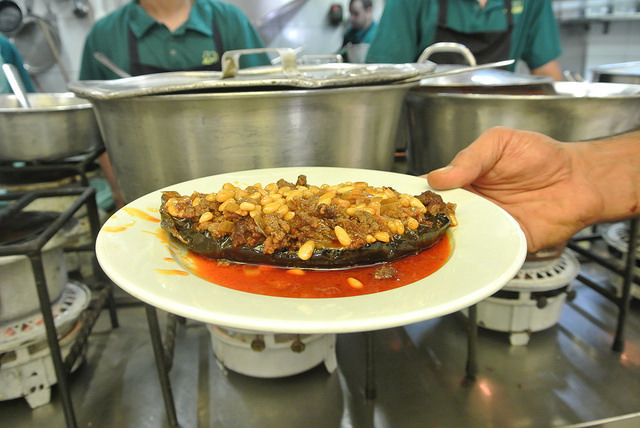 Customers usually fall in love with the kubbeh soup, a delicious dough stuffed with chopped meat and pine nuts. Other popular dishes include the Sephardi chicken stew, shakshuka, which is eggs poached in a sauce of tomatoes, chili peppers and onions, incredible hummus, magadra and oversized meatballs in tomato sauce. Zakai, the owner of this charming restaurant, grew up in Machane Yehuda, helping his father with his fish business. His father wanted more for Zakai, so at a certain point, he asked him to leave and become independent. He did not want his son working in the shuk, and thus, Jacko’s Street was born three and a half years ago. At Jacko’s Street, all ingredients are ultra fresh and come directly from the shuk and his father’s store. Some of the more popular dishes are Kurdish ravioli, veal sweetbread, smoked duck, red mullet, short rib bruschetta, fish shawarma and duck focaccia. Zakai is not just any typical owner. He has attended culinary school and is the main creator of all these fascinating dishes, whilst the presentation of the food is a work of art. The background Israeli music is just the touch needed for a perfect evening. Machaneyuda is owned by three well-known chefs. It was opened in 2009, in order to present modern Israeli cuisine to the masses, and was a total success. 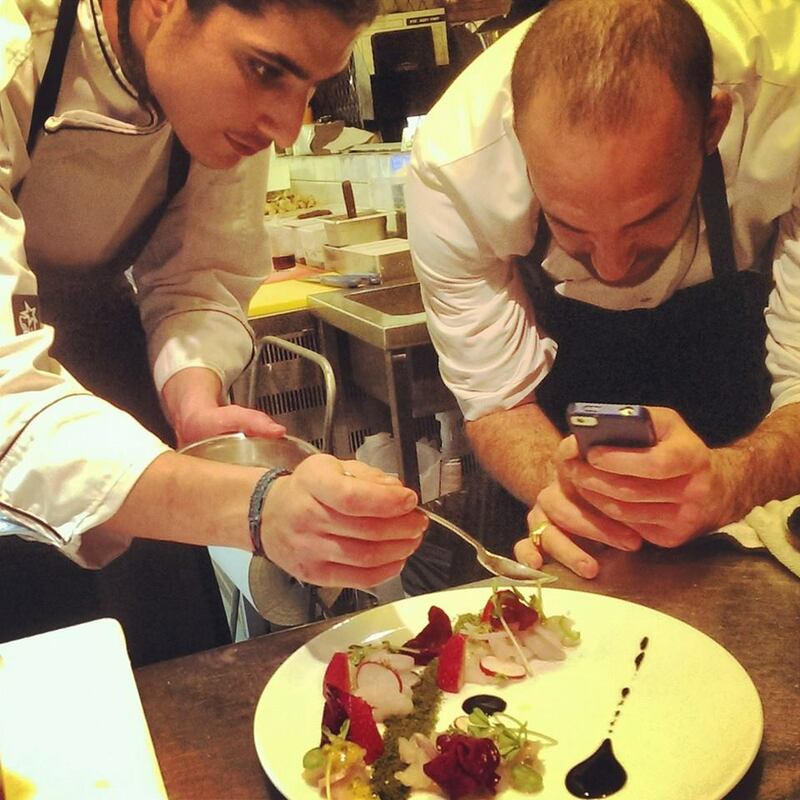 The menu changes daily according to the chef’s mood and what is available in the shuk that day. The kitchen is open, so you can see the chef preparing your food, which has been cited as being the best food in Jerusalem. For starter, try the polenta with mushrooms, Parmesan cheese, and truffle oil. For the main course, try the pasta with lemon butter, spinach, artichoke and white wine. With its handmade pizza and pasta, beer, wine, and fresh Italian salads, customers say Pizza Flora provides the number one best pizza outside of New York. The pizza is made fresh while you wait. Popular pizza choices consist of Flora, made with Margherita sauce, Arugula and Parmesan cheese, or Margherita, made with tomato sauce, mozzarella cheese, and basil. There is a host of other toppings, such as sweet potato and zucchini.